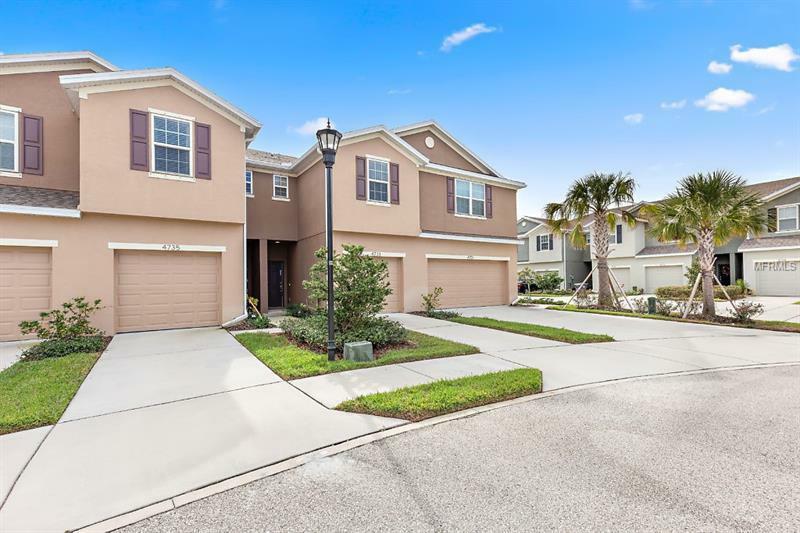 Welcome to this maintenance free, 2016 built townhouse located in the sought after gated community of Magnolia Park with a water view & NO back yard neighbors! This home has never been lived in and still has the builder warranty in place! The open concept has a kitchen that is complete with stainless steel appliances, granite countertops, custom backsplash, cabinetry with crown molding & a breakfast bar! The living room has upgraded laminate flooring with plenty of room for all your oversized furniture! Expand your living space thru the sliding glass doors onto your patio area with a calming view & a place to relax! There is a half bath downstairs for your guests and upstairs, the master bedroom in the rear for privacy with a bathroom that has granite countertops, dual vanities, make up area, tile flooring and a walk in shower! The second bedroom and bathroom are separated by the loft space that can be used as a play room, office area or a room to have an additional tv space! The secondary bedroom is spacious and has immediate access to the second bath with the same finishes as the master bathroom with with a shower & tub! The home has a one car garage for parking & storage with additional driveway & guest parking. The community offers security with gated access, pool & playground and a place to walk your dog! With a Tampa address and location close to Riverview for easy access to I-75/Crosstown/I-4, Downtown Tampa, MacDill AFB and Tampa International Airport, shopping, restaurants & more!